It's here! It's here! The Fashion Friday debut is here! I am SO excited to kick off this series. My goal is to both inform you of current trends in fashion (primarily kid's fashion - but the adults will get some love too! ), and show you fun ways these trends can be incorporated into your family photo attire. I've partnered with the superbly talented Merri Poppins to design the pieces you see below. If you're as taken with the designs as I am, don't hesitate to commission a design for your own little ones! Now wait a minute! Before you discount this trend with images of clown wigs and "strongest man" unitards, let me assure you that this is a COLOR trend only! Leave the water-spitting flower accessories at home, folks. In fact, this color palette is my favorite so far. 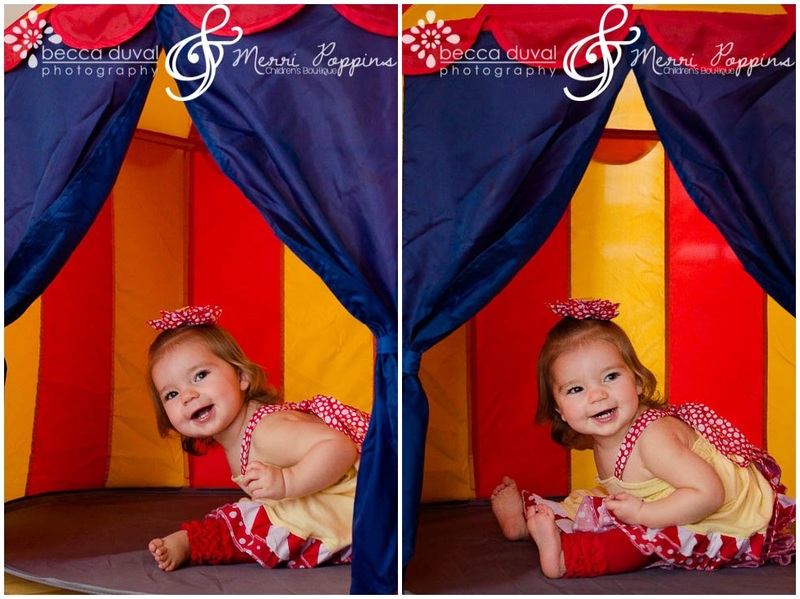 It's fun and vibrant - just like all your lovely kids I have the pleasure of photographing! There's something so age-appropriate about loud reds, oranges, blues, and greens. It's fantastic! See?? Isn't this theme fun?! I picked each of these "Carnival" pieces while scouting my local Target and Old Navy - and believe me there were many many more! Miss Stevie is modeling the "Sophia" Dress (6 months - 8 years). Seriously - don't miss the back of this dress, it's so cute I could just die! I'm OBSESSED with Kaelyn's romper. It's the "Elizabeth" romper (12 months - 6 years), and the fit is absolutely perfect! Merri Poppins used the fabric scraps to whip up the most perfect headband too. She's a crafty one! Jenna's Carnival frock is the "Ivy" Dress (6 months - 8 years). I love the movement in these dresses - they're so perfect for photos! Check out these cheeseballs! Much to the surprise of us adults, these guys LOVED their bowties. As in, didn't want to leave them for the giveaway, "loved." They're kid-friendly (aka VELCRO) and the perfect accessory to spice up attire for boys of all ages. Looking "Picture Perfect," ladies! These custom hair pieces really complete each look. And now for the fun part! We're giving away TWO of the photo props used in this session! Each sewing pattern featured above is from Create Kids Couture. Merri Poppins offers many CKC designs, which you can customize with your preferred colors and fabric patterns. "Carnival" Color Trend is a Trend Bible creation. Check out their blog for more on-trend looks!